Pakistan Steel Mills (PSM) Board of Directors has approved emergency procurement of metallurgical coke, sources close to acting CEO toldBusiness Recorder. Giving details, sources said, at PSM iron ore is melted in blast furnace for extraction of iron which is then converted into steel. To produce heat for melting, metallurgical coke is required which is produced from coal. Hence, for production of met coke, coking coal is essential which are not available in Pakistan. Similarly, iron ore available in Pakistan is of inferior quality which can be used after blending it with some good imported iron ore. Hence, PSM has to improve coal and iron essentially for its production. At its full capacity, PSM requires around 1.8 million tons of iron ore and around 1.2 million tons of coal. Hence, at least two ships per month of coal of about 50,000 tons each are required when production is to be maintained at full capacity. Due to financial constraints for a long period PSM could hardly manage to receive 5 shipments of coal during 2012-13 against the required 24 shipments. This quantity was consumed economically by running the Mill at bare minimum capacity. However, the position worsened as the last shipment of coal was received in May 2013 after which no LC could be established for procurement of coal despite the fact that PSM has following valid long term contracts for procurement of coal for which the PSM is not hindered in lifting cargo after opening the LC: (i) M/s Anglo American Metallurgical Coking Coal Ltd, Australia 250,000 tons Moura Dawson Coal (HV)per year;(ii) M/s Vale Coal, Australia, 250,000 tons Glennies Creek Coal (HV) per year;(iii) M/s Wesfarmers Curragh, Australia, 250,000 tons Curragh Coal (LV) per year and ;(iv) M/s Teck Coal Limited, Canada, 200,000 tons Grizzly Creek Coal (MV) per year. Due to consistent financial constraints and realising the fact that LC for 50,000 tons coal cannot be established unless bailout is received, PSM floated tenders for procurement of coal in a smaller quantity ie 10,000-20,000 tons on FOR (DDP). In FOR (DDP) local bidders participate and offer their bids. They arrange the shipments either from Iran or India being nearer and having lower freight costs. The detail of efforts made by PSM for procurement of coal is as follows: (i) BMD requested Finance Dept to establish LC for one shipment of high volatile Moura Dawson Coal having ETA on June 15, 2013 and one shipment of low volatile Curragh Coal by June 31, 2013; (ii) Finance Dept revealed that NBP regretted to establish above LCs on the plea that “LC will be opened on availability of cushion in the credit line”; (iii) BMD asked Finance Dept to establish LC for procurement of 50000 MT (+1- 10 percent) high volatile coal which is still awaited; (iv) tender No. BMD/01/Coal/FOR (DDP)/13 was floated/published by BMD on June 4, 2013 in local newspapers and technical offer was opened on June 21, 2013. Only a single offer was received from M/s Logistic Resources. Commercial offer was opened by BPC on July 10, 2013. Offered coal price was Rs 25206.30 PMT, which was reduced to Rs 21342.02 PMT by the supplier. Consequently, the tender was scrapped due to high price; (iv) PSM management decided to float another tender for procurement of coal on FOR(DDP) basis; (v) tender No. BMD/02/Coal/FOR(DDP)/13 was published and two offers were received from M/s Sharp Filters and M/s Siddiqsons. The offer of M/s Siddiqsons was technically rejected; (vi) commercial offer of M/s Sharp Filters was opened. Rs 14600/- PMT was finalised; (vii) S.E. – Incharge (COBP) raised a note indicating that existing coal stock will be completely depleted on September 11, 2013. The same was referred to Finance Department, wherein the remarks of A/CFO for opening of L/Cs are “pending till bailout package received”; (vii) contract signed with M/s Sharp Filters against tender No. 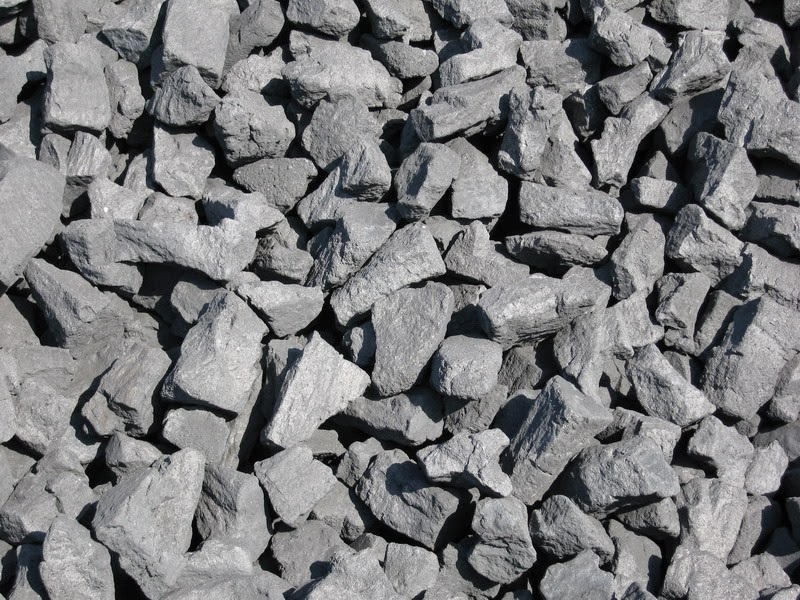 BMD/02/Coal/FOR(DDP)/13 for procurement of 20,000 MT (+1- 10 percent) medium volatile coal; (viii) tender No. BMD/03/Coal/FOR(DDP)/13 was published in local newspapers for procurement of 10000-20000 MT low/medium volatile coal on FOR(DDP) basis; (ix) tender No.BMD/04/Coal/FOR(DDP)/13 was published; (x) tender No.BMD/03/Coal/FOR(DDP)/13 opened and 2 parties M/s Sharp Filters and Siddiqsons participated which were technically cleared by the TSC; (xi) tender No. BMD/01/Met Coke/FOR(DDP)/13 for procurement of 10,000 MT (+/-10 percent) of Met Coke published in leading dailies; (xii) tender was opened. Three parties M/s Sharp Filter, M/s Siddiqsons and M/s Ali Shan, Lahore participated. The offer of Ali Shan was not cleared technically. The sources said due to liquidity crunch PSM was constrained to float tender for procurement of coal in small quantities ie 10,000-20,000 MT on FOR(DDP) basis wherein payment is to be made in PKR after receipt of material. The first tender was scrapped by the BPC due to very high price offered by the supplier. The source said M/s Sharp Filters who signed the contract on 26.08.2013 against tender No.BMD/02/Coal/FOR(DDP)/13 nominated the vessel MV. Al-Naser on 06.09.2013 which arrived at load port (Bandar Abbas) on 9 September, 2013. Meanwhile acute shortage of transport occurred in Iran due to transportation of grain. M/s Sharp Filters requested to extend the shipment period up to October 31, 2013 due to transportation problem in Iran. M/s Sharp Filters again requested on November 5, 2013 to extend the delivery period up to November 30, 2013 due to problems being faced regarding hiring of vessel etc. “Due to shifting stand of the supplier on daily basis for one reason or the other, PSM in order to find out the factual status on ground and to witness the availability of coal at Mines Site/Depot and transportation issue, sent a two member delegation to Iran from September 23, 2013 to October 4, 2013. The delegation confirmed the availability of coal and its transportation problem from mines to port. After getting clarification, the PSM delegation returned. Thereafter the loading of coal was delayed due to dispute between the ship owner and the supplier on demurrage issue which came into notice of PSM management on October 8, 2013,” sources added. On October 11, 013 the vessel was placed in outer anchorage waiting for its turn for berthing. On October 19, 2013 a barge struck the vessel and damaged it with a cut of about 3 meters on shell plate. The vessel berthed on November 2, 2013 and manual loading started on March 3, 2013 due to faulty crane and vessel berth at Port Qasim by November 21, 2013 with cargo of 4336 MT. M/s Sharp Filters is to be pursued for the remaining cargo to deliver as soon as possible: however, M/s Sharp Filters has not so far given any confirmed date of delivery. PSM has received offers from M/s Sharp Filter and M/s Siddiqsons against two tenders of coal ie BMD/03/Coal/FOR(DDP)/13 opened on September 9, 2013 and BMD/04/Coal/FOR(DDP)/13 opened on October 03, 2013. PSM has also floated a tender for procurement of 10,000 MT Met coke, which was opened on October 22, 2013. Three Bidders viz M/s Sharp Filters, Siddiqsons & Ali Shan Enterprises submitted their bids. The offers of M/s Sharp Filters and M/s Siddiqsons have been cleared technically by the TSC. Their commercial offers are yet to be opened and were delayed for two reasons: (i) the first experiment of FOR(DDP) tender for procurement of coal has not been proved successful as yet and the same party, ie, M/s Sharp Filter has again participated in both the tenders; and (ii) According to sources, constitution of new Board procurement committee was pending which was constituted on October 29, 2013. The sources further stated that keeping in view the problems/hurdles, PSM is left with only following options as allowed in PPRA rule 42 for emergency procurement:- (i) to look into the possibility of availability of coke in local market; (ii) to look into the possibility of entering into the direct contracting/negotiated tendering with the suppliers of coke in the shortest possible time; and(iii) to publish the tender in the leading news papers for procurement of coke. PSM made concerted efforts to accomplish three options. First PSM has been able to procure Met. Coke of Poland origin from M/s ICI who offered 500 MT at a cost of Rs 44,506/- PMT ex-works (Khewra) excluding GST and transportation cost from Khewra to Bin Qasim. Purchase order was issued on October 01, 2013 and supply received during 06-08 October 2013. Another 357 MT Met. Coke of Polish origin was procured from M/s ICI which was available at KPT on 10.10.2013. They offered this Coke @ Rs 47,272/- PMT excluding GST and transportation cost from Port to Bin Qasim PSM. M/s ICI offered the two consignment of Met Coke to PSM as a good will gesture and on “no profit no loss” basis. Second 500 MT of Met Coke was procured from M/s Haidery agencies on October 11, 2013 which was of Italian origin @ Rs 48,400/- PMT including all expenses for supply the coke at PSM except GST. It should be noted that this coke was of (+) 80mm size which is normally 15 percent to 20 percent higher in price than the Coke of 25-80mm size. The met coke received on October 15, 2013. Third PSM signed two contracts for procurement of 1000 MT Met Coke each of Indian origin from M/s Haidery Agencies on October 9, 2013 and October 28, 2013 respectively @ Rs 37,000/- PMT (FOR PSM) excluding GST. Supply started from November 05, 2013. More than 923 MT Met Coke has been received so far. Later on M/s Haidery agencies informed that their material has been bonded by the Customs Authorities. The matter may go in litigation and there is no likelihood of further supply in the near future. The sources further added that about 550 MT Met Coke of Indian origin procured from M/s Tariq Trading Corporation @ Rs 37,000/- PMT (FOR PSM) excluding GST. Contract signed on 23.10.2013 and supply was received during 24-25 October 2013. About 200 MT Met Coke of Indian & Chinese origin of (+) 80mm size was procured from M/s Tariq Trading Corporation @ Rs 48,000/- PMT (FOR PSM) excluding GST. Contract signed on 14.11.2013 and supply received during 15-17 November. 2013. About 90 MT Met Coke of Indian origin of (+) 80 mm size was procured from M/s F.F Trading Corp on 02.11.2013 @ Rs 48000/- PMT (FOR PSM) excluding GST. About 375 MT Met Coke of Indian origin of (+) 80 mm size was also procured from M/s F.F Trading Corp @ Rs 48000/- PMT (FOR PSM) excluding GST on November 10, 2013. About 110 MT Met Coke of Indian origin of (+) 80 mm size was procured from M/s Pakistan Business Center on 02.11.2013 @ Rs 48,000/- PMT (FOR PSM) excluding GST. About 85 MT Met Coke of Indian origin of (+) 30 mm size was procured from M/s Pakistan Business Center on November 13, 2013 @ Rs 41,500/- PMT excluding GST (Ex-godown). A contract for procurement of 1600 MT (+/- 10 percent) Met. Coke of 30-80 mm size of Indian origin has been signed with M/s Madina Auto Industries on November 13, 2013 @ Rs 42,000/- PMT excluding GST (FOR PSM). The supply has started from November 19, 2013 due to strike of goods transporters.